Carpets come in various qualities and materials. However, all types of carpets require proper cleaning and maintenance. Homeowners try to keep their carpets as neat as possible. Improper cleaning of carpets may become disastrous for the carpet. There are various do-it-yourself methods of carpet cleaning. 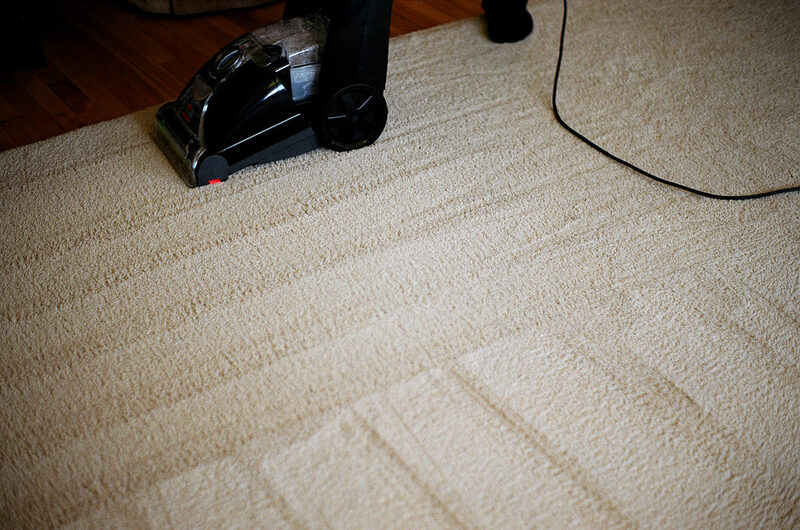 By using these procedures, carpets can be cleaned easily. Carpets should be maintained well, as they are prone to all types of dust and grime. But home owners should realize that these carpets have to be protected to keep them long-lasting. There are a few pointers that have to be remembered, while cleaning the carpets. The carpets should not be over-wetted. Detergents used to clean the carpets should not be too harsh neither should they be used in excess. In such cases, the excess detergent stays as a residue in the carpets. When bleaching agents are used, it may affect the fabric of the carpet. Detergents that contain optical brighteners should not be used on the carpet as they dye the fiber through fluorescent dyes. They are usually found in laundry detergents. The carpets should not remain wet for a long period of time. Wet carpets are the main reason for formation of mildew and mold in them. Home remedies should be used carefully as they leave a stain, even after the original stain is removed. The carpets can be cleaned in many ways. Carpets generally accumulate dust and stain during their life. If unattended, this may make the carpets appear bad and cause a disagreeable odor. Carpets should generally be treated regularly to keep them bright and clean. It is found that almost 42% of those who have a carpet at home clean it up by themselves. All instructions should be followed while cleaning up to avoid harm to the carpet. Carpets can be cleaned manually using various products. They can also be cleaned using the carpet cleaning machine. Vacuum. The carpets should be dusted thoroughly, using the vacuum cleaner. With this, most of the dust will come away. If there is a stain, the carpet cleaning powder can be applied or spread over the stain. After allowing it to set it, it can be cleaned up in half-an-hour and then cleaned up with the vacuum to give it a clean look. Detergent. The detergent should be mixed with warm water. Using a clean cloth, dip into the detergent solution and dab it on the carpet. Once the carpet gives a clean look, you can rub with water and clean it up. The carpet should then be dried, to keep them clean, as wet carpets have a chance of getting untidy again. Dry Cleaning. Dry powder can be used to clean the carpet. It is one method of maintaining the quality of the carpet, rather than restoring its appearance after it has been soiled. Detergent powders and dry solvents can be used directly on the carpet fiber. The pile lifter can be used to agitate it and then it can be vacuumed to remove the powder and the detached soil particles. Detergents pre-spray. They can be used directly on the carpet using a garden spray. The pile fiber should be agitated using the pressurized spray to loosen the dirt and the soil. Foam. Foam can be used on the carpet fiber such as the foam from shaving cream and they can be worked on with a brush. The carpets can then be cleaned up. Carpet Cleaning Machines. These come with various products to help in cleaning up the carpets. The brushes, sponge and cleaning powder helps to clean up the stain and the dust easily. Dirty carpets are usually caused by stains and dust. Stains are usually caused by tea stains, coffee stains, red stains, urine stains and pet stains. These stains should be removed immediately. If the stains remain for a longer period, the stains may become stubborn to remove and will cause a dull stain, even after it is removed. While removing stains, care should be taken to remove them carefully. The chemicals used should not be too harsh on the carpets as they may ruin the quality of the carpet. There are various ways of removing stains from carpet. White Vinegar is the most important home formula to remove stains. Using white vinegar and dish wash soap are some important ingredients that help to clean carpets. They should be mixed with water. Mix white vinegar and water. If the stain or dirt is too stubborn, dish water liquid can also be added to give it a stronger clean. Gently spray it on the affected area and allowed to soak for about 5 minutes. The area should then be blotted with a dry cloth until all traces of the stain are removed and the area becomes clean and dry. Dish Wash Soap is another method of cleaning up stains. They can be applied lightly or sprayed. After allowing it to soak for about 5 minutes, they can be gently sponged away with a wet towel. Repeat the process till the stain is removed. They can also be applied with white vinegar to give a better result. Stain Removal Products are available in plenty in the market. There are various products for various types of stains. Even stubborn stains can be removed with these stain removal products. Carpet Cleaning Machines are also available to give a thorough clean to the carpets. There are various types of products available along with the carpet cleaning machines that will provide a thorough clean to the carpet to remove all dust and stain. Having a good carpet at home, adds to the décor of the house. Unless it is maintained well, it would not look attractive. Hence airing it regularly and giving it a good clean is required. This can be easily achieved with a carpet cleaning machine.